Nevertheless, even in more nuanced presentations, there are times when one can detect some residual assumptions of the formulaic/discovery approaches. In other words, some of the language we use to describe and promote the organic processes of vocational discernment still draws on philosophical assumptions that inform and enframe formulaic approaches. That is not necessarily bad since assumptions and language can be employed in different ways. But I find it helpful to bring the issues to the surface and engage them directly. 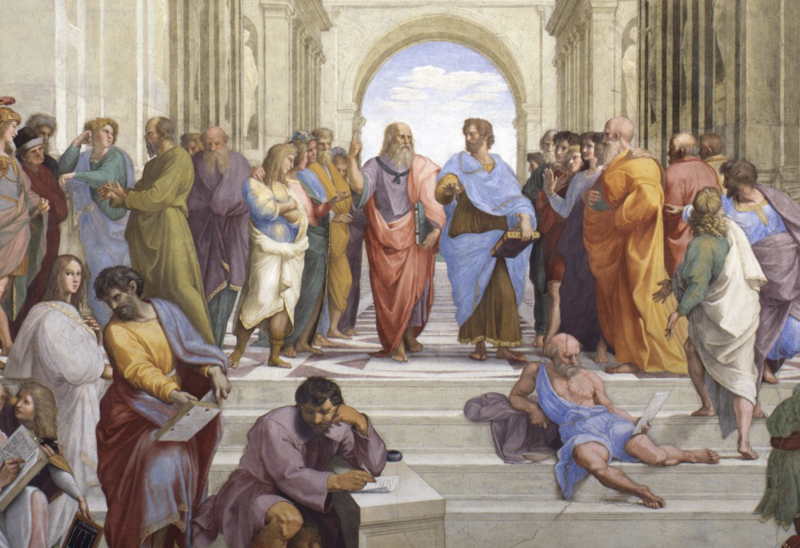 This post is my attempt to do that by briefly contrasting the philosophical outlooks of Plato and Aristotle and their implications for vocational discourse. Caricatures are inevitable in a short exercise like this. 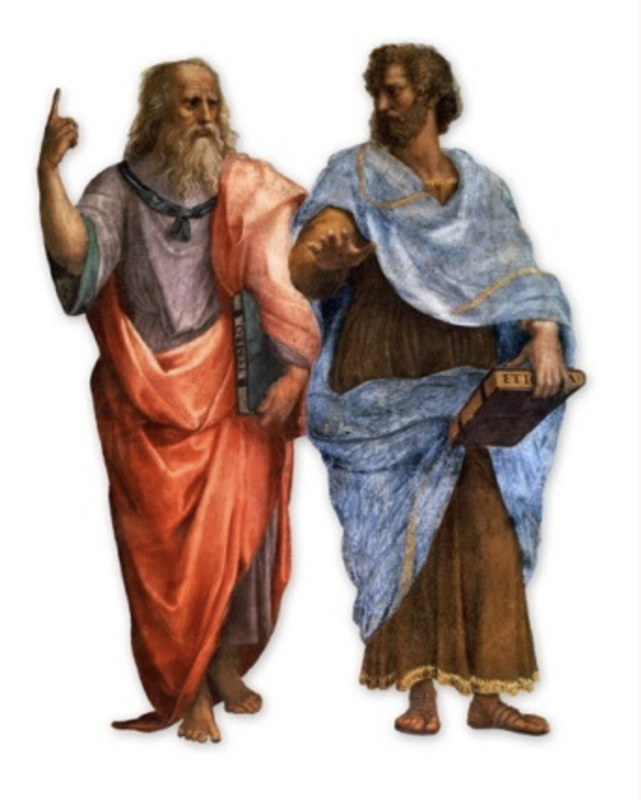 Nevertheless, one can compare the diverse thought of these two monumental philosophers by considering Plato’s essentialist tendencies and Aristotle’s teleological framework. Specifically, Plato imagined the good life as participation in the world of forms in which one seeks the perfect, atemporal essence of Being, while Aristotle imagined it more in terms of being drawn toward a final telos or end through a process of Becoming. 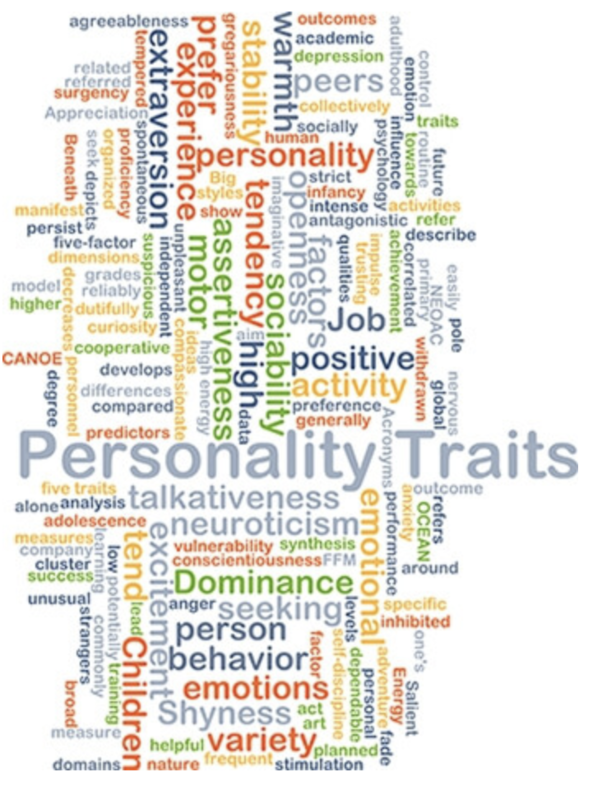 Stated more simply (and in modern parlance), Plato invites people to discover their true selves, their unchangeable essence, while Aristotle encourages the development of their potential through character formation. I believe that Plato’s Being and Aristotle’s Becoming can, in fact, be held in complementary tension with one another as representing different aspects of the human and cosmic experience. Nevertheless, at the time, Aristotle’s teleological orientation represented a corrective challenge to what he saw as the static and deterministic essentialism of his teacher’s philosophy. How does this relate to our current vocational discussion? I don’t think it is too much of a leap to draw an analogy between Aristotle’s corrective to Plato’s essentialism and the way NetVUE’s organic, formational understandings of vocation offers corrective to essentialist notions presented in static and formulaic terms. One way to explore this is through the related themes of “being” and “doing.” In vocational discourse, it is sometimes stated that people should be understood as Human Beings rather than Human Doings. The point here seems to be that all persons are inherently and objectively valuable. This is an important point especially in our consumerist age in which value is often measured by subjective assessments or what is produced on the treadmill of action. The Being/Doing contrast challenges this and allows people to approach the topic of vocation from a place of inherent, apriori value and giftedness. A Platonic orientation is an ally to these dimensions of vocational discernment. The Being/Doing contrast, however, is also challenged by the broader Being/Becoming contrast. After all, the notion of vocation as something formed rather than found involves an assertive movement toward something not yet attained, complete, or even existent. The vocational journey is open, fluid, and guided by choices and specific habits that direct one toward specific goals and virtuous character-potentials. Here an Aristotelian orientation is helpful. Aristotle’s notion of virtue prioritizes who you are becoming over who you currently are. This also invites a re-evaluation of “doing” at least in the sense that habits, practices, interactions, risks, and changes guide and affect future outcomes. As I explored in part one of this post, this reflects the prolepsis of vocational discernment: It is a way of living in the present that is shaped by and oriented toward a potential future, a goal, a telos. Plato and Aristotle: pas de deux? In short, I think that Platonic and Aristotelian paradigms can both find a home in the language of vocational discernment. There is a sense in which Plato calls us to embrace and rest in our Being, to receive it as gift, as something given and valuable without any “doing” requirements. There is also a sense in which Aristotle calls us to embrace our Becoming, that we are always potentially more than we currently are, and that present “doings” of habit and practice can guide us toward teleological potential. Of the two, however, it is Aristotle’s teleological orientation that is most immediately compatible with current vocational discourse. Put in metaphorical terms, if we can imagine Plato and Aristotle as dance partners, the dance of vocational discernment flows better when Aristotle is the lead partner, when one’s Being is framed more by teleological movement than by static essentialism. Put differently, and equally imaginative, if they had been given the opportunity, I think Aristotle’s Lyceum would quickly become a NetVUE institutional member, while the faculty at Plato’s Academy might need a bit more convincing! The moral of the story: Vocational discourse is better served when notions of Becoming guide and frame notions of Being.